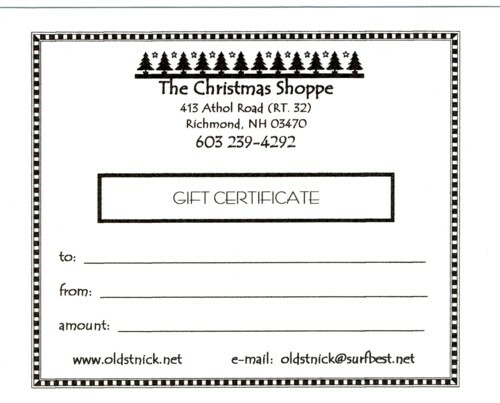 A gift certificate to The Christmas Shoppe. A perfect gift for that special someone! Just enter the dollar amount that you would like to spend under "quantity" below. If you would like to purchase more than one gift certificate, you will need to enter them separately.